Photos by Ian Collins, no reproduction without permission. VT editor, Ian Collins took photos of obsolete post-production kit before the 2004 auction of equipment when Pebble Mill was cleared prior to being demolished. 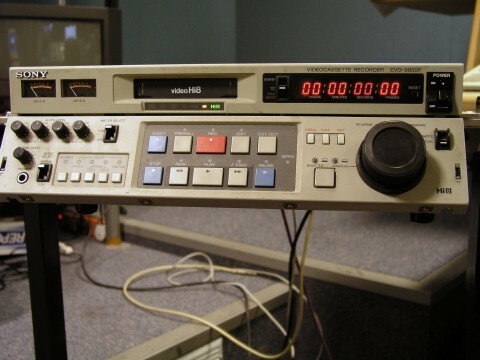 These photos are of a Sony Hi8 video recorder. 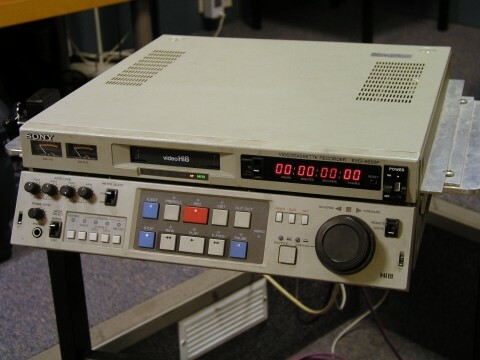 Hi8 was an 8mm video format, which had better resolution than the earlier Video8, but pre-dated the introduction of Digi8. It was an analogue format, and the ‘Hi’ stands for high-band, as opposed to low-band.